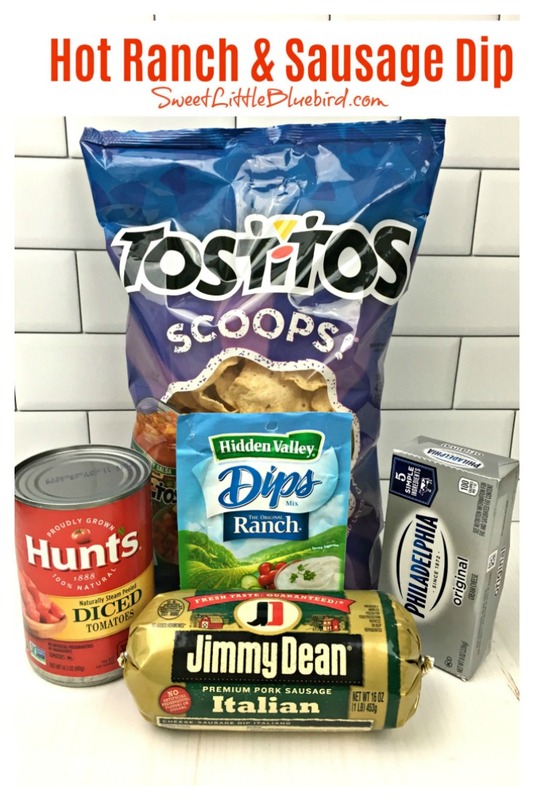 Today’s tried and true is just in time for the Super Bowl, it’s a delicious twist on a fan favorite recipe, Easy Sausage Dip – Hot Ranch & Sausage Dip! 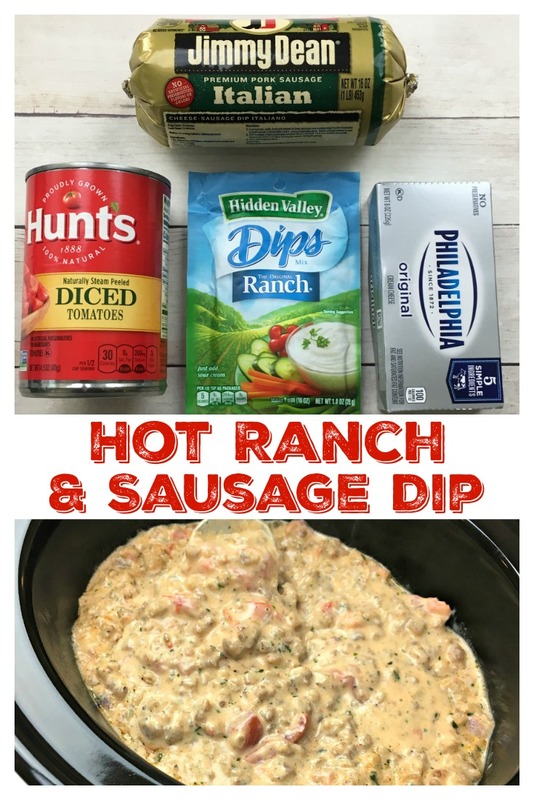 HOT RANCH & SAUSAGE DIP – With just 4 ingredients and minutes to throw together, this hearty dip will be a go-to party favorite. This easy to make appetizer calls for mild Italian sausage, ranch seasoning mix, cream cheese and diced tomatoes. 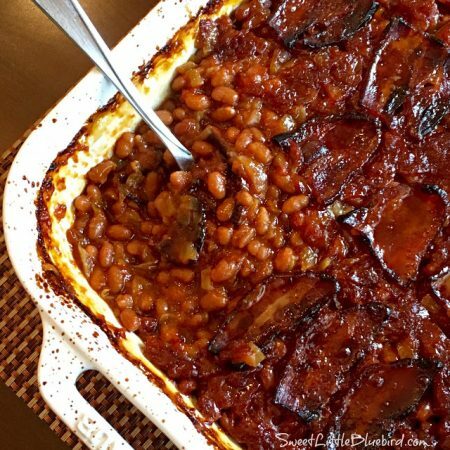 Some people like to call sausage dip “Ugly Dip”, but it’s absolutely delicious and gets devoured, it’s addictive! Perfect for game day, parties, holidays and more. Serve warm with your favorite tortilla chips. 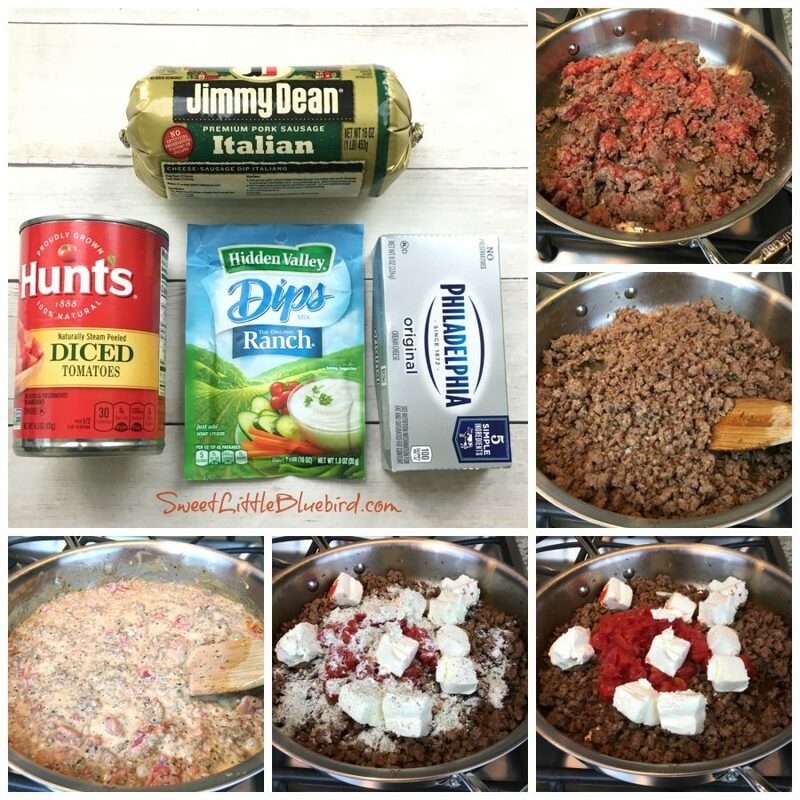 This delicious version for sausage dip was found on Hidden Valley’s website. For a hot and spicy version, check out Easy Sausage Dip – Only 3 Ingredients, a hot & spicy version. Be sure to read the rave reviews! Mild Italian sausage, Hidden Valley Ranch Original Dips Mix, cream cheese, diced tomatoes and your favorite tortilla chips. In a large skillet, cook sausage, breaking up into small pieces (like taco meat) until fully cooked. Drain excess fat. Add diced tomatoes, cream cheese and ranch, mix until well blended and heated thoroughly. Place in a serving dish or small crock pot/slow cooker and serve warm with you favorite tortilla chips. Please Note: This is not a sponsored post, I have no affiliation with Hidden Valley or any other products in this recipe. I am just a fan of this dip. 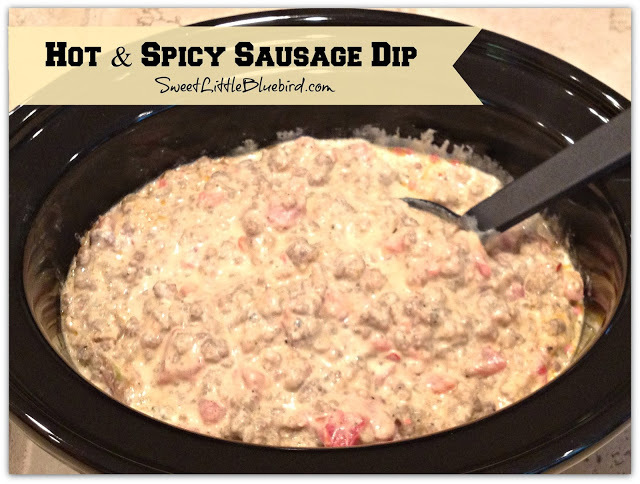 For a hot & spicy version, check out Easy Sausage Dip – Only 3 Ingredients. Be sure to read the rave reviews! If you are not a fan of Italian sausage, you can use original. 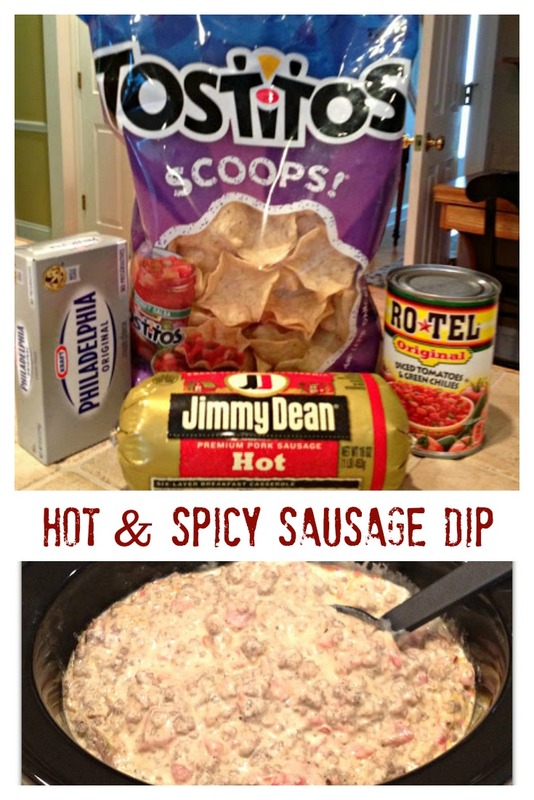 Today I am sharing a quick and easy sausage dip that people absolutely love – Hot and Spicy Sausage Dip! This recipe, like most of the recipes I share, takes just a few ingredients, ONLY THREE – cream cheese, Rotel and sausage, that’s it! 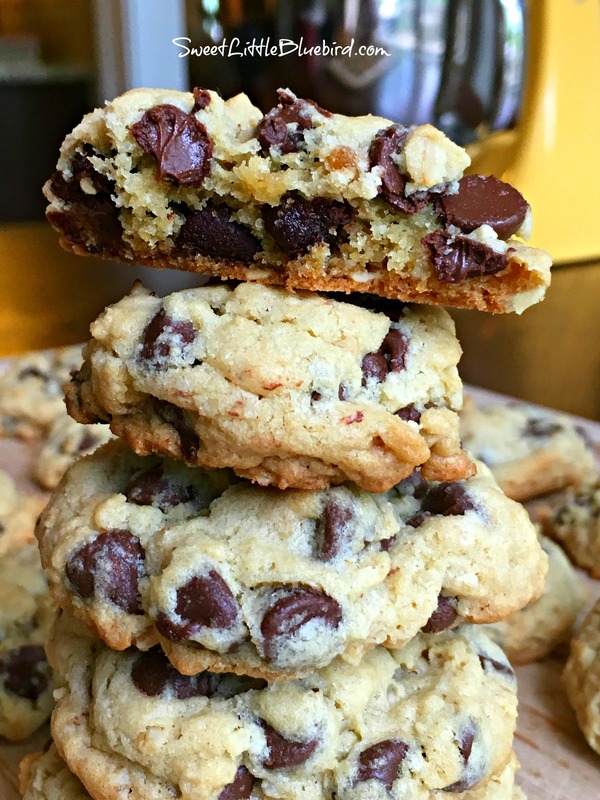 Simple to make too (ready in minutes), so darn good. This is one of my favorite go-to appetizers – it makes the BEST sausage dip! 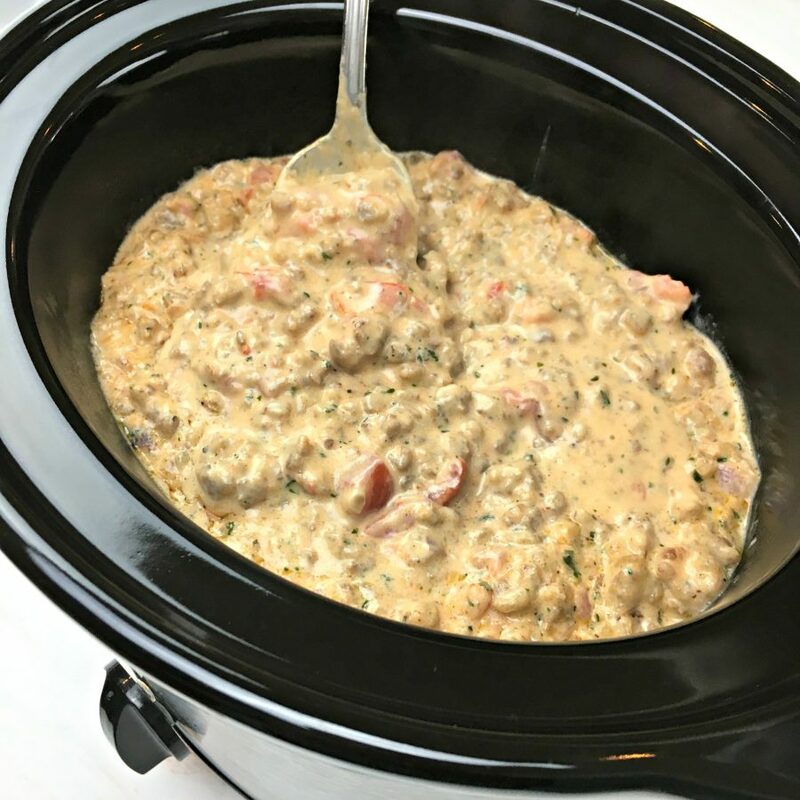 Quick & Easy, Hot & Spicy Sausage Dip, Only 3 Ingredients – This cream cheese, rotel and sausage dip is a crowd pleasing appetizer that’s perfect for parties, game day, holidays and more! You may want to double the recipe, this dip is addictive and gets devoured – it’s always the first to go at parties, I always come home with an empty bowl. 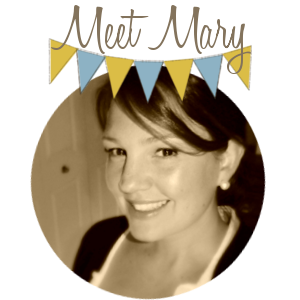 Read rave reviews from people who tried this 3 ingredient, easy sausage dip recipe on Pinterest! My friend from Maryland, Mrs. T, shared this recipe with me years ago. This is the friend that shared the great tip for Swiss cheese in lasagna and gave me the Black-Eyed Peas & Sweet Corn Salsa recipe. When she gave me this recipe, she told me when she serves it, it’s the first thing to go at parties, “people love this stuff!” When I make it, what I found is women love this dip, but men will devour (hog) it all – so again, you may want to double the recipe. If you’re looking for an appetizer everyone will enjoy, I highly recommend giving this recipe a try at your next gathering! 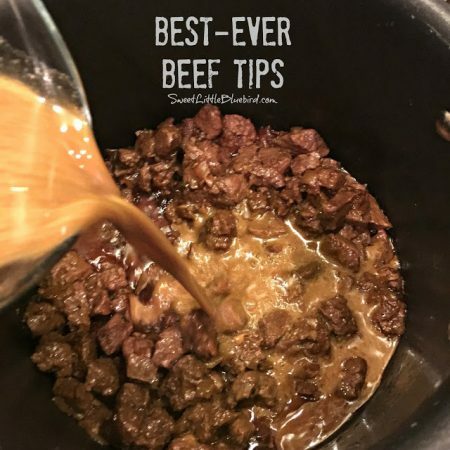 I always serve this in a small crock pot at parties – keeps it warm for serving. In a large skillet, cook sausage, breaking up into small pieces (like taco meat) until fully cooked. Drain all excess fat. Add Rotel and cream cheese, mix until well blended and heated thoroughly. 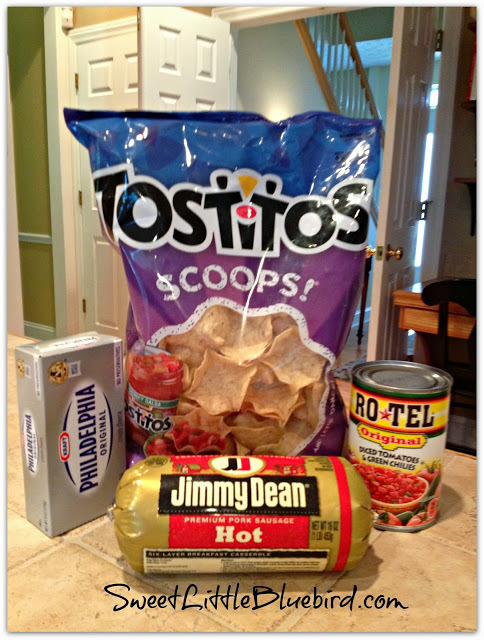 Place in a serving dish or small crock pot, serve warm with you favorite tortilla chips or Fritos Scoops. For less spicy dip, use regular sausage. This is perfect for small crock-pots, keeping it warm while serving.